Pralii, an eccentric design house, was incepted with an aim to provide experimental contemporary Indian and western designs. The need was felt to turn the business online and this saw the birth of Pralii.com, an attractive online showcase of the products. Credence Digital Marketing team crafted the website on Advanced PHP framework. The website was custom designed and was made mobile responsive to cater to the highly demanding population. For easy navigation and fast processes, custom inventory management system was also included in the design mechanism. 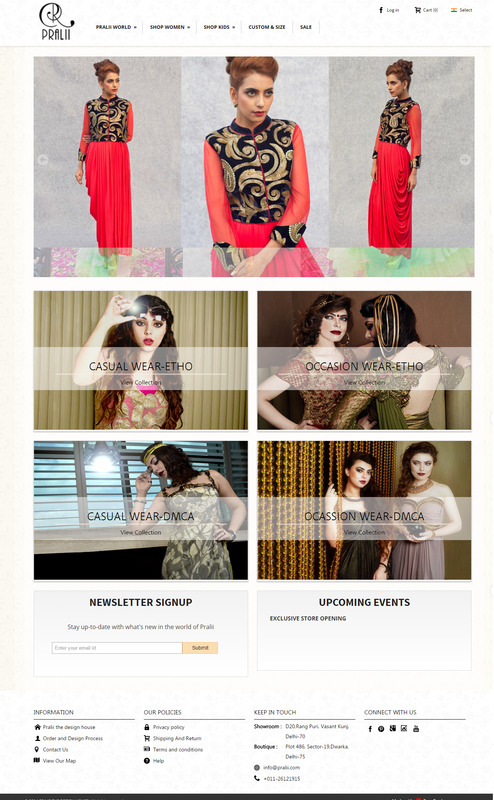 Pralii, a designer outlet for contemporary and urban Indian youth, was seeking online presence. In conjunction with the huge foreign aesthetic stimulus, the brand is focused on cultural reawakening of Indian fashion. The website, Pralii.com, was custom designed to target the mobile and energetic youth, who prefer vibrant designs.